*Very Important! Special Update From Cambodia. * Here I am. Send me?, Send me., or SEND ME! my renewed calling. “Whom can I send, to equip the Cambodians to take the Gospel to their nation and to help prepare the way for the Gospel to spread from Cambodia to the rest of the world? Who will go for us, despite dangers, diseases, and discomforts, even if it means death? From that moment on, my soul has been leaping with joy shouting, “Send me! Send me! Send me! SEND ME!” Aside from this being a calling from God and that He programed my soul to respond this way to His calling, there is no logical reason for me to feel this way. But, I am reminded of John the Baptist leaping in the womb (Luke 1:41) and that “for the joy set before Him, he endured the cross” (Hebrews 12:2). At church, I prayed with a missionary couple from the Philippines and there was a very strong confirmation that I should not give up or turn to the left or to the right. 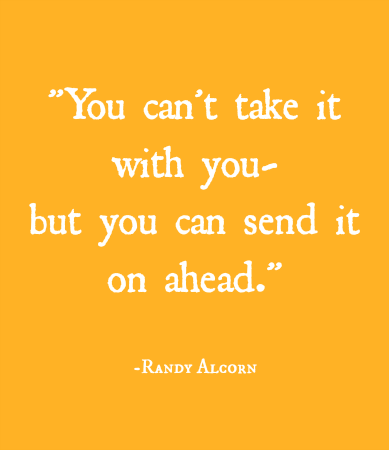 Every believer has a special calling from God, what is it that makes your soul leap and shout, “Send me!”? It may be business, education, medicine, media, or even politics. 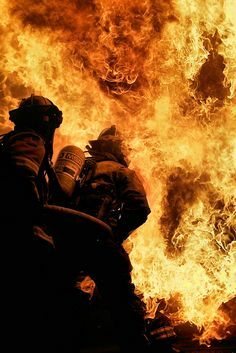 There is a saying that “Firefighters run into buildings when others are running out.” Is it a classroom, a hospital room, your own living room, or a cubicle? Where ever it is, that is where God will use you the most powerfully! Some may read the above paragraph and think, “Great, Darryl’s found his calling. What does that have to do with me?” God is our commander and once He gives the order to charge, He does not retreat. Just as God has patiently and persistently sent prophets, Christ, and the apostles to Israel, He is just as patient and persistent in calling as many of His followers as necessary for as long as necessary in order to win spiritual battles. I have always known that the calling that God has given to me is too big for me. Therefore, I have faith that God has called, is calling, and will continue to call as many people to join in this calling as necessary to complete it. Even if I am unable to complete it, I trust that God will call others. Who knows, He might even call you, your children, or your grandchildren. We pray for, support, and encourage our troops, police, and firefighters partly because we want them to face the fires so that we don’t have to. This is a good reason to pray for and encourage your pastors and missionaries–so that you don’t get drafted! : ). I often hear political pundits complain about, “the donor class” or “There’s too much money in politics!” This may be true, but I can’t remember ever meeting a pastor or missionary who would make the same complaints. : ) This is because when people “donate” to politics, they are either trying to get a law passed that will help them or prevent a law from passing that will hurt them. So it isn’t really “giving” at all, it is more like paying protection money to the mafia. Christian giving should not be like this. We should give ourselves first (2 Corinthians 8:5) and then we should give our time, talents, and resources without expecting repayment, in this life. Therefore, Christian donations are more like making investments in our HRA (Heavenly Rewards Account) in the same way that we invest in our IRAs. Missions and other ministries are a lot more like “investment firms” than we realize, except that our HRAs are completely secure. Another aspect of investing in missions is that both senders and missionaries share the rewards in the same way that investors and entrepreneurs share dividends or profits. Some of my senders have been investing in me (spiritually, emotionally, and financially) my whole life, others just a few years. I know that whatever heavenly rewards I receive, I will have to share dividends with so many people that my net reward will be much smaller than the gross reward. Here are some examples of things that God has done in Cambodia through the partnership between our senders and us. In heaven I believe there will be some rewards for all of us to share from these ministries. Helped establish a Christian presence on a major university campus that continues to represent Christ before university students fifteen years later. Helped lay this spiritual foundation (since 2000) that led to the founding of Kone Kmeng children’s ministry in 2006. Kone Kmeng has equipped more than one hundred Cambodian churches to minister to thousands of children who are vulnerable to being trafficked into child labor or prostitution. Darryl now serves as a board member. Authored and co-authored Christianity: Discerning Essential Doctrines and Preserving Unity (2009) and Christianity: Reasons for Faith (2012) these are the only two books that define and defend the essentials of Christianity (Christian apologetics) ever published in the Cambodian language. Developed and sponsored a Christian apologetics radio programs in the Cambodian language. Helped to found Trinity Institute of Cambodia which is now called GLOW Cambodia, which offers training in the Bible, Chinese, English, Leadership, and Education. Provided the first Christian apologetics classes in two Bible schools, more than sixty pastors and church leaders have been trained so far. Provided emergency training to help stop the loss of pastors and church members to cults. Kayo started and runs the only ministry to Japanese living in Cambodia. She also is part of a the worship team at an international church, mentors Cambodian women, and is the mother to Benjamin. More unlisted and more to come. As missionaries, we must be committed to God’s calling while our senders must only be invested. To understand the difference between “committed” and “invested” we only have to think about a plate of bacon and eggs. The chicken is invested but the pig is committed. : ) In other words, missionaries must be, “all in”. From the time we heard God first calling Kayo and I many years ago, we have been living our lives in submission to this calling. This has completely shaped our life decisions: about marrying each other, our education, careers, finances, and purchases. We have been, “all in” through many trials and so long as God leads us, we will continue to be “all in”. During Darryl’s time in Cambodia from 2000-2003 his financial needs were met by a combination of donations and income earned from teaching English. This was also true 2007-2009, when Darryl taught English. In 2009, God called Darryl to step back from teaching English and focus on other ministries. During the US financial crises, God provided extra blessings for us because the Japanese Yen gained 30% against the US Dollar (Cambodia uses US dollars so this was a big boost). This provided the funding for us to sponsor two books, a radio program, and other ministry projects, even without the income from Darryl’s English teaching! During those years we could even able pay off Darryl’s student loans for his much used Apologetics degree from Biola and become completely debt free! Between 2007 and 2012, the enemy frequently attacked our health, living conditions, and safety. In 2012, we moved back to Phnom Penh and since then God has blessed us with increasingly safe living conditions and our health has improved. However, from the time we became debt-free, the enemy has started attacking our finances by weakening our financial “supply chain,” which is a common tactic in any battle, including spiritual battles. Since the beginning of 2013, the Japanese Yen has lost 40% in value against the US Dollar. Meanwhile, Benjamin has started school. At this moment, our minimum budget needs are underfunded by around $600 per month, for things like health insurance and ministry work funds. In addition to this, we have been paying for Benjamin’s educational expenses out of our personal savings. Unless God provides a financial miracle for us, our ministry and personal financial reserves will be exhausted sometime early to mid-2016. To pull us back from financial vulnerability, we need to raise $1,200-$1,500 monthly ASAP. This will set us free to start long term ministry projects. Some may wonder if it is possible to raise additional funds given current state of the US economy, when a major denomination is recalling 600-800 missionaries for lack of funding. However, God is bigger! During the Great Depression 1930-1939, another denomination increased its mission giving by 47% and the total number of missionaries by 25%! When other denominations were retreating, they were advancing! Beyond the immediate needs, God is calling Darryl to not only help reach Cambodia with the Gospel but to help prepare the way for the Gospel to reach from Cambodia to the rest of the world. This means that in the not so distant future, International Fishers will need equipment, a studio, translators, and production staff. What if God would raise up around 300 or more financial partners who will give at least $30 per month? This would enable International Fishers to reach an unlimited number of people (via social media and personal contacts), primarily in closed countries, for a fraction of the cost of traditional media. We may never see another opportunity like this in our lifetimes! The fields are ready for harvest now! Not only in Cambodia but from Cambodia. Here are just a few of the reasons why basing International Fishers in Cambodia is better than basing it from the USA. Ready access to Christians from many different nations including closed countries (30 nations represented in our international church every Sunday). Easy visas, political neutrality, religious freedom, and low cost of living mean that Christians from closed countries could travel to Cambodia, make materials for their own people and return without raising suspicions of their own countries. Overland travel to many closed countries is possible, which is better than air travel. Young, increasingly educated, multi-lingual, computer/social media savy Cambodian Christians are available to serve as staff at reasonable salaries. Improving technology, electricity, and Internet service nationwide. 1. Please pray for us: Darryl, Kayo, and Benjamin to continue to grow in our capacity to sense God’s desires and our willingness to follow Him. 2. Please pray for healing for Constance, (Darryl’s Mom) as she recovers from one or more strokes and for the family members who are helping her. 3. Please pray that God raise up courageous Christians who are ready to advance the Kingdom despite persecution, political, or economic obstacles. God is greater! Posted on November 3, 2015 Author Darryl RecordCategories UncategorizedLeave a comment on *Very Important! Special Update From Cambodia. * Here I am. Send me?, Send me., or SEND ME!